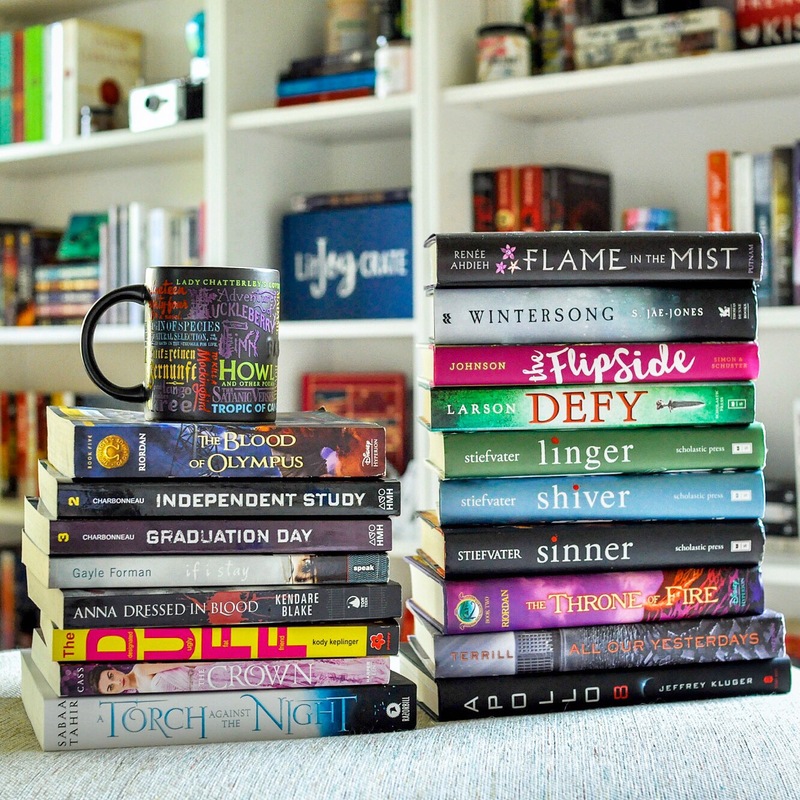 Stacking the Shelves is a weekly meme created by Tynga’s Reviews where we share our newly added books. Half Price Books was having a sale over Labor Day weekend and I got a bit carried away.. in my defense I had just organized my new bookshelves and was not used to having so much extra room! Some of these I have read* and some I haven’t. An awesome Mug with the titles of banned books on it! Hopefully now that I am mostly all moved in I will have time to start writing reviews again. It feels like it’s been ages since I wrote one! Have you read any of these books? What did you think? What would you recommend me to read first? So it’s been way to long since I have been to the book store and come out with a good haul. I have been trying to be good and use the virtual library and such. You know….free. Husband act ually commented on how its been a long time since I cleaned out a book store and that we needed to hit up Half Price Books. Like he needed to twist my arm! So we went this weekend and I went a little nuts but I only got like 4 that I have already read, several that are on my TBR and one or two recommended to me right here in the blogosphere. Ah, my new shelves aren’t quite so empty now! Have you guys read any of these? What did you think? So every year in Oklahoma the Metropolitan Library System puts on a massive book sale called the Friends of the Library Sale. Libraries across the state contribute old books, duplicates and donations to this sale to raise money for the libraries. This sale is AWESOME! Hundreds of thousands of books, magazines, comics, audiobooks and videos on sale, most for $1 or less!! I got several books that are on my TBR like Jellicoe Road, 2 of the Chaos Walking books, Pivot Point, Blackout and Bar Code Tattoo, and then a few favorites like Watership Down, Fahrenheit 451, The Great Gastby (sans movie cover, there is nothing I hate more then movie covers on book covers. A rant for another time..) and The Host , Delirium and Harry Potter on audiobook. Don’t listen to them, you don’t need that kind of negativity in your life. If you can hear the words being spoken to you, create an intricate visualization in your mind, comprehend what is being spoken and follow along while maintaining said created intricate visualization then YES. It is reading. You are just swapping out one sense for another. Sight for Sound. Are you going to tell a blind person he’s not really reading because he is using his fingertips instead of his eyeballs. No. If you can enjoy and process the words of a story it is reading. Now the question is. What will I read first?